Be The First To Live In A Brand New, Never Lived In Townhouse In A Family-Friendly Neighbourhood On A Quiet Street. 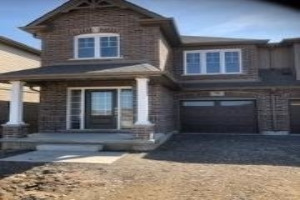 The Main Floor Boasts An Incredible Open Concept Layout W/ A Family Sized Kitchen. Includes 4 Brand New S/S Appliances And A Sliding Door That Leads To The Private Yard. Master Bedroom Contains A Walk-In Closet And 4Pc Ensuite. Also Has An Ideally Located Upper Floor Laundry. Unfinished Basement Perfect For Added Space Or Storage. Comfortable, Clean, & Beautiful! Minutes To Parks, Shopping, Amenities, And Schools. Also Close To Niagara College And Pelham Hills Golf Club. Tenants Pays Own Utilities. Minimum 1 Yr Lease.